There are two key elements which underpin the dynamics of any business or commercial enterprise in the informal sector. These are Time and Money. 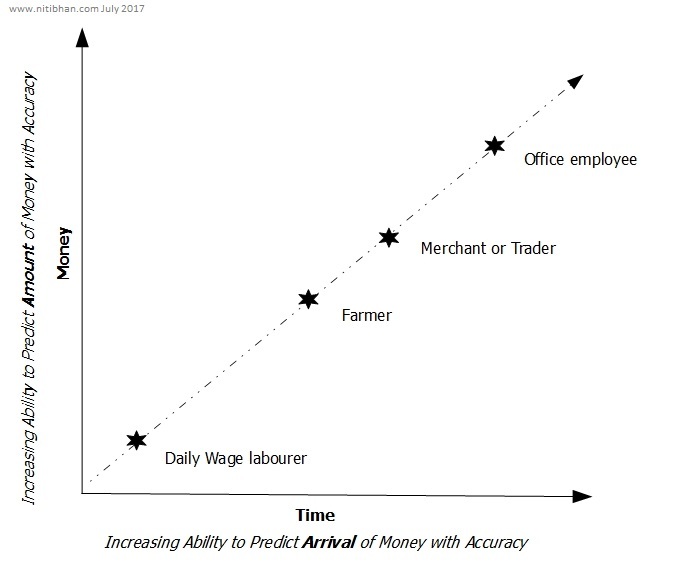 A generalized framework can be diagrammed, as shown above, where the dotted line denotes the degree of uncertainty and volatility of an individual’s cash flow patterns – whether from a variety of informal economic activities – such as for the farmer or trader; or from the salary received for a white collar job. The X axis – Time – denotes the increasing accuracy of estimating the Arrival date of a cash payment (from some revenue source), and the Y axis – Amount – denotes the increasing accuracy of estimating the Amount that will arrive. Their relative ability to estimate Arrival and Amount with any degree of accuracy is indicative of their ability to forecast and plan for expenditure. Thus, at one end of the continuum, one can position an odd jobs labourer who may or may not get paid work on any given day, and is unable to predict with any degree of certainty what type of job he’ll get selected for, nor for how many days it will last. It could be as basic as loading a truck for half a day’s pay, which in turn might even be in kind, and not cash. And, at the other end of this continuum, one can position a the typical white collar salaried professional or civil servant who knows with certainty exactly on which day they will receive the salary and exactly how much will arrive. Now, we can frame these two elements of the commercial operating environment in the form of a position map, as shown above, that maps the ability to plan expenditures against the stability of the cash flow. The red arrow is the continuum of certainty and stability of Timing and Amount of an income stream, anchored by the most vulnerable odd jobs labourer at one end and the relatively most secure salaried professional at the other. Where it gets interesting is the relatively liminal space in the middle where the various economic actors in the informal economy constantly shift position as they seek to mitigate the volatility of their income streams, through a variety of mechanisms. Much of their decision making is related to their own perception of uncertainty and ability to forecast. For the purpose of this explanatory diagram, I have selected 4 typical examples drawn from different sectors of the informal economy common in the developing country context. Each are at the more vulnerable end of their own segments i.e. 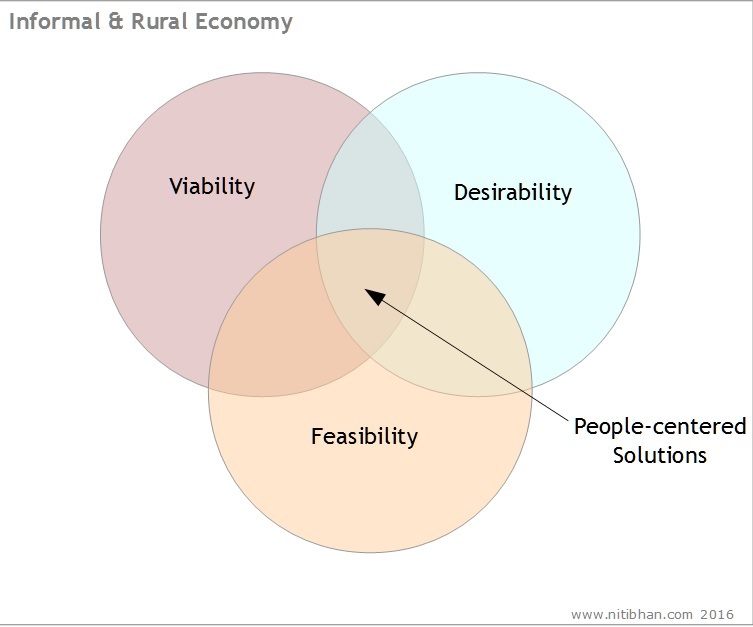 a subsistence farmer, rather than one with an established cash crop; or a small roadside kiosk rather than an established general merchandise store in a market town; since they have not yet achieved the goal of their business development strategies to move their own entrepreneural ventures towards relative stability, and thus provide more insight on the relationship between cash flow patterns and investment and expenditure planning. The hawker of goods at a traffic light or junction is in a comparatively more fragile situation than the kiosk owner with a fixed location who works to develop relationships with passing customers in order to convert them to regulars at her store. Unlike the kiosk, which might be located near a busy bus stop, or outside a densely populated gated community; the hawker cannot predict which cars will pause at the red light as he darts through traffic shouting his wares. However, compared to the odd jobs labourer, the hawker has comparatively more control over his income generation since his is not a passive function of waiting to be picked from the labour pool in a truckyard or construction site. The smallholder farmer might actually be better off economically in many ways than his urban brethren involved in informal retail, being able to live off the land more cheaply than in the city. Experienced farmers, for the most part, are able to predict with reasonable accuracy, more or less the quantity of their crop, and the estimated timing of the harvest. However, his sense of uncertainty is often perceptually greater due to the unmitigatable impact of adverse weather conditions, or the sudden infestation of a pest or blight, any of which could at any time completely destroy his harvest, and thus, his expectations. This sense of insecurity in turn influences his decisions on expense commitments to far ahead in time, or too large a lumpsum at some point outside of his regional harvest season. The farmer’s income streams are relatively more out of his control than the disposable income in the pockets of the kiosk’s customer base. The market woman with her display of fresh produce, at the entry level of inventory investment capacity, might only have one or two different varieties of vegetables or fruit to sell, and may not yet have established a permanent structure – a table, a kiosk – in the market. She might start off with only a tarpaulin on the ground with some tomatoes and onions for sale. 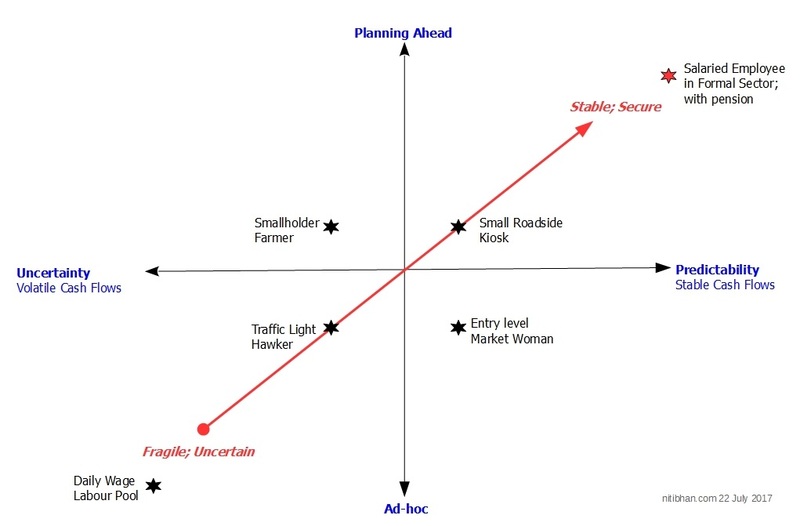 Unlike the traffic intersection hawker, however, she is more likely to begin by assuming a regular placement and location as this establishes the foundation for her future business development, through the factors of discoverability and predictability among the customers in that locale. That is, in addition to Timing and Amount of Income – the cash flow patterns and sources – we begin to see the role played by location – Place1, as a supporting element of the commercial activity in the informal economy. While farmers are least likely to have much control over the location of the land they may inherit, their risk mitigation strategies to minimize volatility of their income streams and maximize their ability to plan for the future and manage emergencies will be discussed in depth in the section2 on rural household financial management. These practices are the foundation of business development strategies commonly observed in the informal economy in developing countries which tend to be less urbanized, and as is often the case, more dependent on agriculture as a component of national GDP. Last year, I briefly touched upon this concept as an approach to cost effective programme design that was still flexible enough to provide room for iteration for best fit. 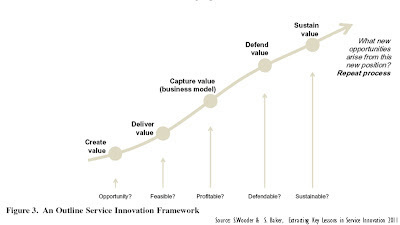 Today, I want to explore the concept further to evaluate its potential as a framework for incorporating the concurrent shift in development thinking towards Value for Money (DFID) principles, in addition to designing for best fit. Value for Money (VfM) is not the same as traditional monitoring and evaluation which seeks to measure impact of a project, and occurs usually after the fact. In many large scale projects, this may not happen until years after inception. If this applies to all investments in aid related programme development, then it follows that it must also apply to earliest stage of discovery and exploration that leads to problem framing i.e. the necessary groundwork to write a comprehensive and inclusive design brief for future programming. Thus, the conceptual approach that I introduced at the beginning of this post, which is taken from the discipline of Operations Research, and seeks to solve the challenge framed so – what is the optimal solution that minimizes resources (inputs) for maximum outputs (value creation) – fits as a potential framework that can theoretically apply from the earliest stages of implementing development strategy, even before inception of any related projects, including early stage research and feasibility studies. 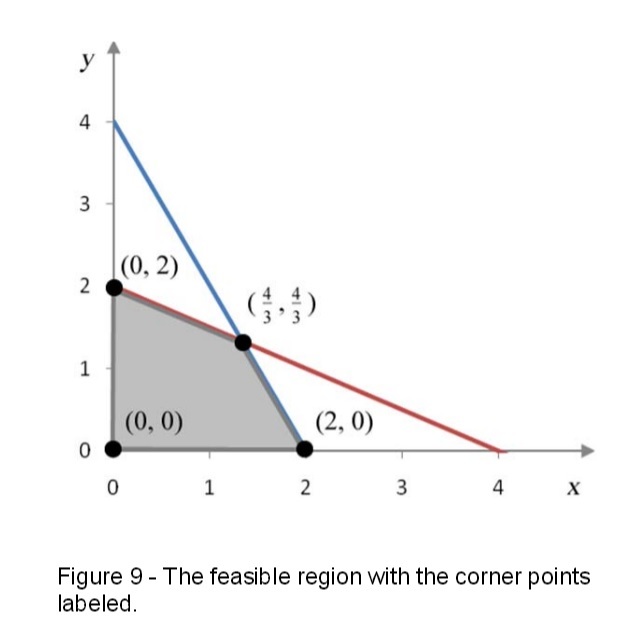 After all, the function of Linear Programming is optimization. Note: Here I will only consider the theoretical aspects from the point of view of programme design research and development, and not the mathematics. That will have to wait until I have gathered enough data for validation. In this context, the primary function of such an exploratory project is to identify the opportunity spaces for interventions that would together form an integrated programme designed to effect some sort of positive change in the ecosystem within which it would be implemented, and offer a wider (more inclusive) range of cross-cutting benefits. In the language of product development, we are attempting to build a working prototype. We cannot build and test first prototypes to see if they work, directly, because our room for failure is much less spacious for experimenting with aid related programming, ethically speaking. This is not a laboratory environment but the real world with enough challenges and adversity already existent. Programmes are not the same as consumer products, nor are they meant to be designed and tested in isolation before being launched for pilot testing in the market. Their very nature is such that innocent people are involved from the start, often with a history of skepticism regarding any number of well meant donor funded projects aimed at improving their lives. This changes the stringency of the early stage requirements for design planning. That is, the first implementation of the iterative programme design must fall within the bounds of the solution space – that which is represented by the shaded area in the diagram above. Thus, what we must be able to do at the end of the discovery phase of research necessary to write the design brief, is tightly constrain the boundary conditions for the solution space within which the MWP can then be iterated. This minimizes the risk of utter failure, and maximizes the chances of discovering the best fit, and all of this within the definitions of Value for Money and it’s guidelines. There are numerous ways to set the goals for optimization – one can minimize resources and maximize constraints, or minimize risk and maximize return on resources invested. These will guide our testing of this framework in field conditions to validate the robustness of this theoretical approach. In this way, we can constrain our efforts to discover best fit within predefined limits of tolerance, while retaining the flexibility to adapt to changing real world circumstances and progressive transformation of operating conditions. Best fit, then, becomes less a matter of experimentation without boundary conditions and more a discovery of which of the many right answers – if we take the entire shaded area as containing “right answers” to the problem at hand – help us meet the goals of intervention in the complex adaptive system in an optimal manner. 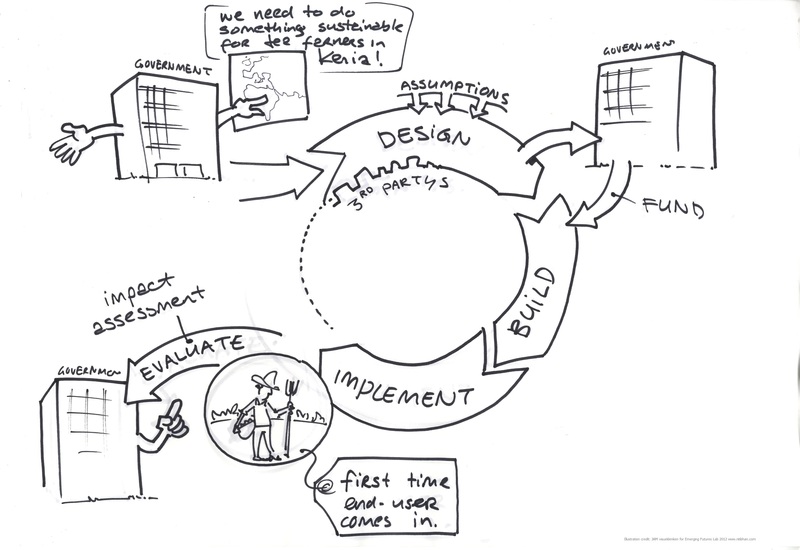 It is this aspect that loads the burden of a successful outcome on the front end of the entire research and development process, given that framing the problem correctly at the outset is what drives the research planning and steers the discovery process in the direction of relevant criteria, conditions, constraints, and user needs that will not only form the bounds of our solution space, but also act as waymarkers for monitoring change and evaluating its progression. The Reserve Bank of India has unveiled their Vision 2018, an ambitious plan to shove the juggernaut into a cashless future. Here are their pithy yet to the point 5C’s, which focus the framework on a set of objectives. The full Vision 2018 report can be found here. Smells like Rajan’s legacy as he wanders back to academia in the Fall. I’m very impressed by the framework’s conciseness, and the fact it embeds periodic customer feedback surveys (continuous user research) as part of the design. There are two parts to this article: The first is a revision of the lenses through which we assess the landscape within which your new market strategy will be expected to operate; and the second covers your implicit assumptions at inception, as well as gaps in your mental model. 1. 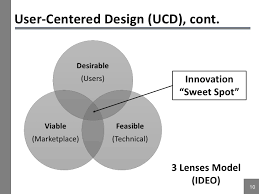 The lenses for innovation need a universe to ground them. The development of the first generation prototype lenses for identifying the sweet spot of innovation in the operating environment prevalent south of the Sahara desert on the African continent are described here. The evolutionary path from the original lenses (shown below) is described. People, Pesa, Place were used to replace the words Users, Marketplace, Technical as a means to provide cues for contextual exploration. However, in practice, this revised Venn Diagram (shown below) was still missing a means to distinguish the very different landscape of an emerging market. That is, it overlooked the need to consider the whole as an ecosystem in its own right. A diagram representing mathematical or logical sets pictorially as circles or closed curves within an enclosing rectangle (the universal set), common elements of the sets being represented by intersections of the circles. Without the universal set being represented in these diagrams, it was difficult to create a cue for identifying and describing the often inaccurate yet implicit assumptions made at the very beginning of a new market strategy formulation. And, this gap often revealed itself in form of cognitive dissonance between the observed marketplace and customers, and the tactics intended to support the strategy. Here is a revised version of this Venn Diagram, enclosed in the rectangle. By changing the description of the universal set, as shown below, one is then able to evaluate the entire ecosystem holistically. There is a chasm that divides the value propositions of the producers (sellers, marketers, MNCs) from mainstream consumer culture and the mindset and worldview of the buyers (erstwhile bottom of the pyramid, or emerging consumers from cash intensive, informal economies), and this chasm is where new market strategies tend to falter, and fail. This is particularly noticeable in the African consumer market, especially when considering the mass majority. By adding the missing universal set to the Venn Diagram, one is then forced to acknowledge the systemic differences between one’s own consumer culture, and the vastly different one in this new market. It may indeed be informal and rural, as shown in the sample above, or, it may be the urban consumer markets in the sprawling cities south of the Sahara. Even then, a significant proportion of the economy falls outside of the formal structured environment prevalent in most of the sophisticated consumer markets of the global economy. And what tends to happen is that elements or concepts from the formal economic ecosystem are introduced or implemented isolated from the supporting information systems and infrastructure. One or two elements from one ecosystem will not thrive in an entirely different ecosystem if there is not fit or context for them to succeed. A clear example is what happens when financial services and tools are introduced under the guise of inclusion. By going back to the foundation of one’s assumptions, one can identify where the gaps might lie in the value propositions that make so much sense in one’s own context when considering them for consumer segments who might never have been exposed to the same marketing messages, or conditioned to expect “New” to mean “Improved”. This exercise also provides a cue to consider the systemic differences between the two operating environments, and to assess whether the value proposition or the solution can be introduced as is without the need for an entire support network surrounding it. Note: I have used the African context as the working example, but the basic framework is flexible to use for any set of disparate operating environments. Irregular income streams from a variety of sources pose their own challenges to both buyers and sellers but offer an opportunity through the flexibility designed into business models for the informal economies where this pattern of cash flow tends to be much more prevalent. Flexibility is key, as well as the ability to negotiate on “time” – frequency, periodicity, duration and “money” – amount. This works in the highly personalized transactions negotiated in most of the “developing” world but the challenge arises when those dependent on volatile cash flows meet “the system”, which cannot be negotiated with. Between time and money in the equation of the underlying principle of flexibility is the “trusted network” or human beings. Facetime and financial flexibility have proportionate relationship to the success of a business model in such an environment. This paper describes how Sagentia—working with Vodafone, Safaricom, and other organizations—played a significant role in the creation and delivery of a landmark mobile money transfer and payment service for emerging markets, starting in Kenya. In this profile we examine the organization aspects and approach that contributed to the success of the service: the lessons we learned as the technology provider and how the experience has informed and strengthened our service innovation processes. We are familiar with service innovation examples such as music download, loyalty programs, franchise chains, ticket/check-in kiosks, and online tax returns. 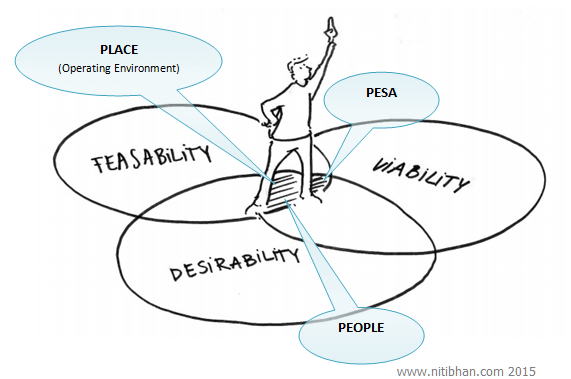 And they share with us the mapping of MPESA on to this service innovation framework. 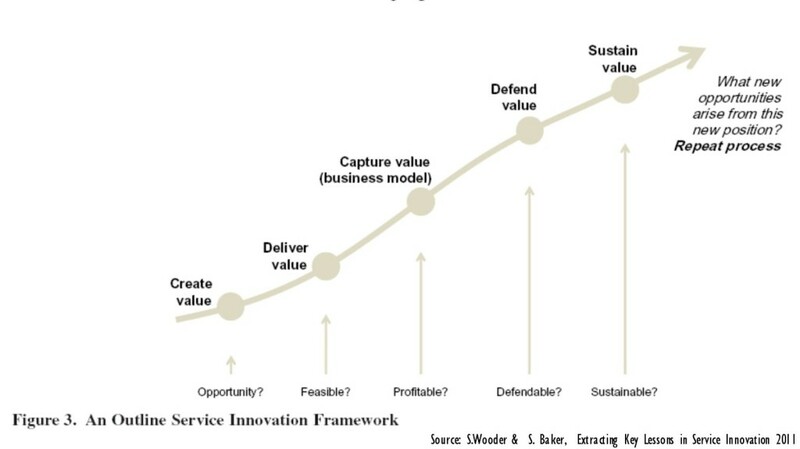 • For a service to succeed, it requires a critical mass of users as soon as possible; identifying mechanisms to motivate users to take up the service is an important part of the service innovation process. 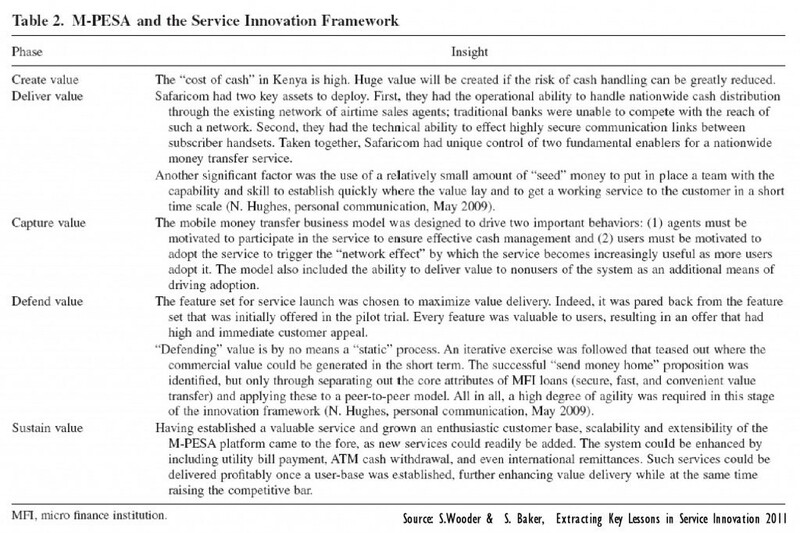 The results of the study cannot claim to be generally applicable; however, it has allowed the “usefulness” of the conceptual stages in the service innovation framework to be empirically tested in a real-world example, and the vulnerabilities and strengths are better understood as a result. 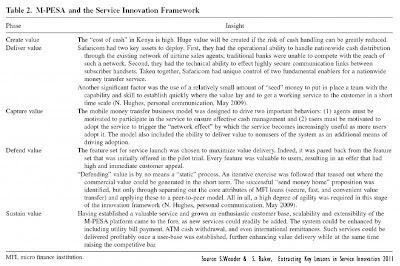 And finally, they share with us the mapping of MPESA on to this service innovation framework.